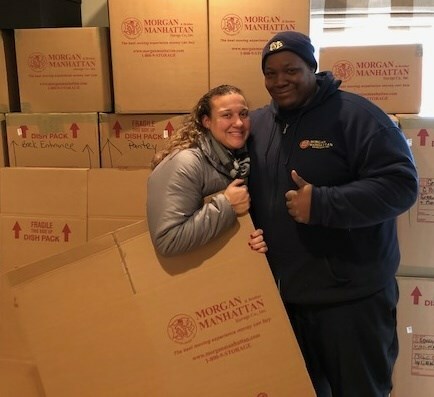 Whether you are in-between homes, undergoing a remodel or simply don’t have the right amount of space in your home, Morgan Manhattan offers a variety of customizable storage options. Our greater New York household storage facilities and moving crew is accommodating and pays careful attention to detail to ensure your high-value items are safe and secure. If you prefer it, Morgan Manhattan will enter each of your stored items into our easily accessible online inventory system. Pictures and information about the items are included in the system for you to view 24/7. We also have an on-staff restoration specialist to ensure that your items are looking brand new when they are moved back into your home. No other New York household storage companies offers the same level of excellence as us. While other storage companies in Manhattan may simply place your treasured belongings in a room somewhere, we treat every one of your items as if they were our own. To be a well-respected storage company in the New York Tri-State area you must carry a reputation of pure professionalism. And that is exactly what you will receive at Morgan Manhattan. You simply cannot find a better moving and storage company in the Tri-State area. Our reviews speak for themselves and are available on our customer feedback page. If you are ready for a free quote on your household storage services in New York, please fill out our online form or call us at (888) 660-5344. Contact us now!